Group Discussion Ideas > General GD Topics > Are Foreign television channels destroying our culture? Are Foreign television channels destroying our culture? Now-a-days people can’t able to talk pure mother tongue because they are watching foreign TV channels most of the time. These channels have adverse effect on institution of marriage. Many people try to imitate the trends which are shown in TV. Children and youth are easily fascinate towards bad things than the good things. After the introduction of foreign channels, there is a drastic change in our culture. Culture depends on a person’s perception. Nobody can destroy our culture without our permission. As world is becoming a global village, we must be ready to embrace all other cultures and have a knowledge about it. By having foreign TV channels, we can able to know about world shows and can participate in them. Discovery, National Geographic, BBC and much more foreign channels expand our knowledge. Through international sports channel, we can know about the sports of other countries. With the new DTH technology users can subscribe the channels as per their wish. 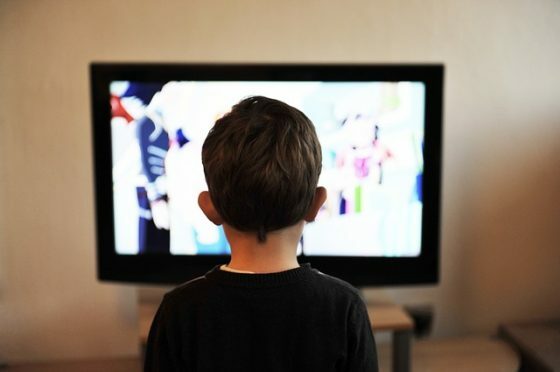 Parents can lock the channels, which are dangerous to children. We can’t blame foreign channels as some local channels are also destroying our culture. It’s not their mistake because they are just following their culture. Every coin has two sides, we should take only positive side. We are responsible for our deeds. But of course, govt is regulating the television broadcasting by allowing complaints from public and taking necessary steps whether it is foreign or local channel. According to me every coin has both side as a human being we have to take a positive one .If we don’t want to destroy our culture nobody can destroy, we have to decide . Nowadays we don’t want to confine ourselves in our own country for work purposes and study purpose so world is like a global village. Every parents they have desire their children will go to English medium school because of to speak in English and western culture , etiquette etc. people like to watch foreign channel like sports, national geographic we get to know the information. This is not bad but somebody wants to imitate bad thing it’s impact comes to personal life this is bad as a human we should take good one. People wants go to abroad for their work purpose ,if already know the western culture this is good for them. Nobody can destroy you, if you don’t want. We are living in the twenty first century we are modern ,there is no problem .As an Indian we should respect our culture,then there will be no problem. I think no foriegn channel is destroying our culture rather they are incresing our knowledge. Channels like discovery , national geography and so many foreign sports channel are really expand our knowledge. I think we should acknowledge these channels . So many foreign cartoon channel are entertaining the childrens of our country in huge amount . The intention of these channels are not to hurt the sentiment’s of our people they just follow thier culture. it is right that every coin has two side foreign channels is also beneficial for us like discovery or national geographical becuase of them we get a knowledge but there some channels are there adults shows are shown so it is not bad for there if u r looking this channels to avoid it so, change our perception towards foreign channels to spoil our culture…..
the things what u have explained are very good .